CAMP HILL, PA. 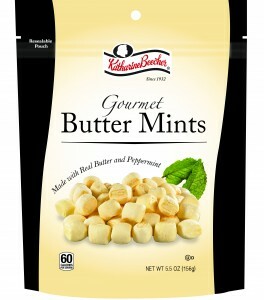 The Warrell Corporation™ is pleased to announce, during their 50th year Anniversary, a new packaging format for their famous Katharine Beecher® Gourmet Butter Mints in a recloseable, stand up bag. The 5.5 oz stand up bag is now available to the retail trade in 12-count cases and 36-count free standing shippers. SRP is $2.99. Both pastel party mints and butter mints are also available in 20 pound bulk cases. The Katharine Beecher story began over half a century ago in a tiny summer kitchen in the rural town of Manchester, Pennsylvania. In those days, Mrs. Beecher’s delicious Butter Mints were cooked in small sauce pans, cooled on marble slabs, then pulled by hand and cut with scissors. Only the very finest ingredients were used to make each small batch of the melt-in-your-mouth mints. Today, they are still made the old-fashioned way – with the purest sugar and real creamery butter, fresh from the dairy. Today, the butter mints are produced with the same care as when Katharine Beecher made them herself in her summer kitchen; the only difference is that they are produced in a large, fully-staffed modern facility. 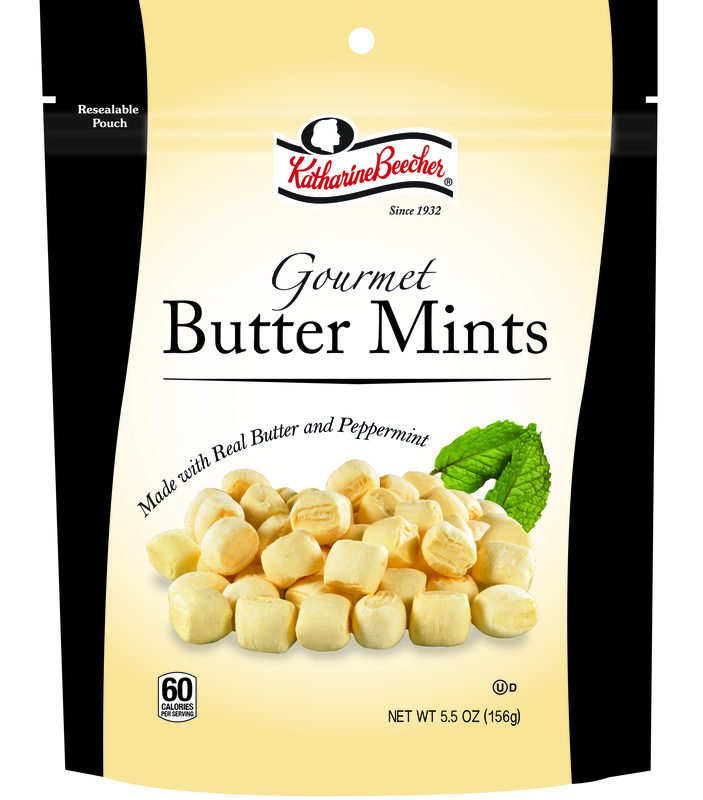 Katharine Beecher® butter mints in a presentation that consumers are looking to buy,” said Annette Warrell Jones, Marketing Manager. The Warrell Corporation, headquartered in Camp Hill, PA, is a family-owned manufacturer of fine candies and snacks. The company markets merchandise under the brands Katharine Beecher®, Classic Caramel®, Pennsylvania Dutch Candies™, Bonomo Turkish Taffy® and Flipsticks® to the retail trade. In addition, the company has an extensive base of ingredient, private label, bulk and contract manufacturing customers. The Warrell Corporation™ manufactures in two locations, York, PA and Camp Hill, PA. Visit our website, www.warrellcorp.com.